We are happy to offer an antidote other than a tomato juice bath and the passage of time to cure the skunk odor. Simple household ingredients will make the home remedy easy and neutralize the skunk odor. 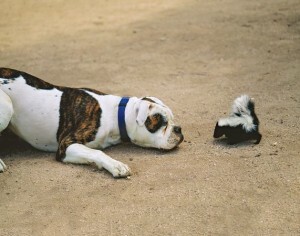 Now we can not promise to remove every trace of the skunk odor, however, we have found this to be an effective option. Our client feedback has been very positive on the remedy. The soap acts to break up oils in the skunk spray, allowing the other ingredients to neutralize. Normal bathing procedures should be used to protect the pet’s eyes. Wet, lather, and let sit in contact with hair for 10-15 minutes. Following application, the solution should be rinsed off the pet with tap water. Avoid eyes and mouth. If your pet’s eyes are irritated from the spray, you can rinse them with plain saline eye wash. If your pet is salivating more than usual, feed a small amount of bread. 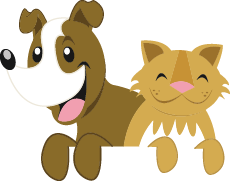 Please call our office if you have any other questions or concerns regarding your pet 248-651-0303.